Distinguished conductor, musician and composer. 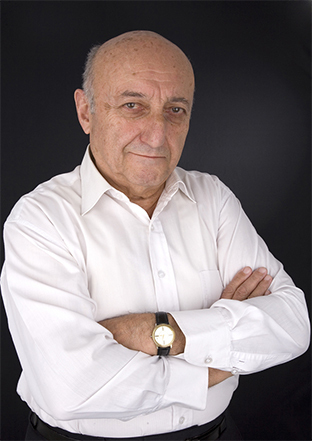 Artistic Director and Chief Conductor of The State Academic Choir of Armenia since 1961. Ohannes Tchekidjian performed in 184 major cultural centres of the world including Paris, London, New York, Moscow and St. Petersburg, and also in various cities of the world. All 69 first-class symphonic orchestras, including The Academic State Symphonic Orchestra of the USSR, The Academic Symphonic Orchestra of St.Petersburg, Orchestra of the State Academic Bolshoi Theater have been on the stage under the direction of Maestro Tchekidjian. He had 866 Concerts outside of Armenia (Abroad). Ohannes Tchekidjian, as a composer, has unique musical compositions, vocal symphonies such as “The Poem Spring Reveries and Holiday Ode “. The recording company “Melodia” distributed a number of recordings by many outstanding Symphonic Orchestras of the USSR and The State Academic Choir of Armenia under the direction of Ohannes Tchekidjian. One of the recordings has awarded “Grand Prix “ in Paris, in 1978. Delight music lovers all over the world. 1975-present Working at Komitas State Conservatory, Yerevan. Professorship from High Attestation Commission of USSR since 1982.